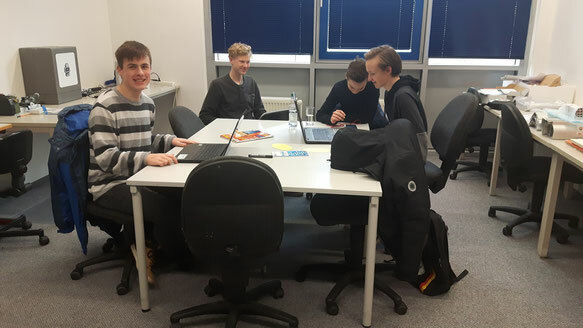 The pupils should come in contact with an economic life while working in the workshop.They are researching on professional issues of the enterprises. By doing this, they could get an idea of different work environments and are able to apply their knowledge in their everyday school life. Another goal is to arouse technological interest - condition for a career choice that is characterized by technology more and more. As a supplement to the curriculum, ELMUG eG developed the youth-enterprise-workshop in cooperation with IHK Südthüringen and KOMPASS GmbH. The workshop is located in the TGZ Ilmenau.